Here's my second post on the relationship between David and Cassandra Cain, for Part I click here. 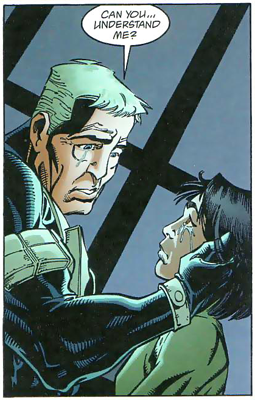 One of my favorite parts of Cassandra Cain's character was her complex relationship with her father, the assassin David Cain. So with father's day coming up, I thought I'd post some of their story. Don't know if this'll do anything, but a bunch of Cass fans are planning on buying a digital copy of Batgirl #1 at Comixology on the 31st (it's $1.99). There are more details here. Also, if you haven't bought a digital comic before, the quality of the pages is really good. Contains violence against small pre-superheroines and animals. In honor of father's day, seven scans from Batgirl #11. The grand finale: Fathers vs. their daughters, sister vs. sister, and Batman R.I.P.? WARNING! 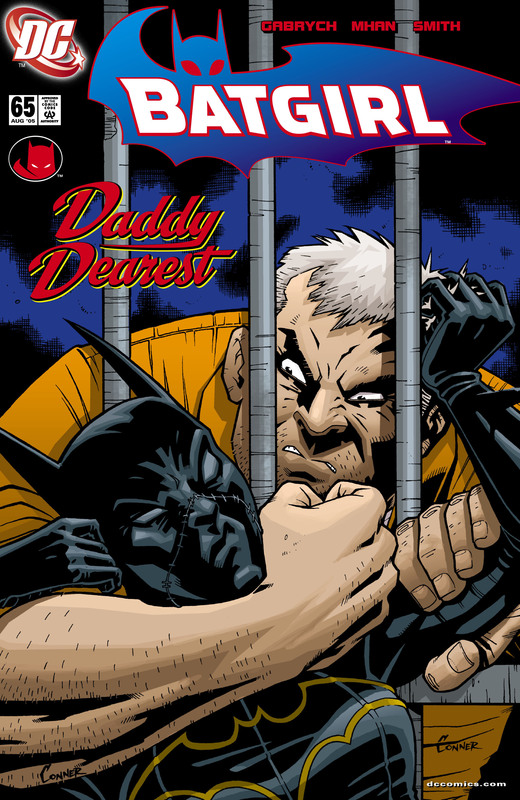 This is the infamous story written by Adam Beechen that is remembered for what it did to the character named Cassandra Cain. Eighteen scans will be had of three issues (Robin #150-152). I'm looking to add Cassandra Cain's initial run as Batgirl to my library. However, a trip to my local comic vendor revealed to me that the TPBs for that run have been out of print for a while and are hard to find. I've managed to find vendors to get most of the collection for a bit over the normal retail price, however my only option for obtaining "Silent Running", the 1st volume of the collection, is at least $30 through Amazon. Also, reading some of the reviews, it seems that the TPB collection are still sort of incomplete and missing a few odd issues here and there. I was wondering if I should just pull the trigger on these purchases, or if it would be reasonable to expect DC to reprint Cassandra's Batgirl run in the near future, given that she's making a comeback into the current bat-titles? 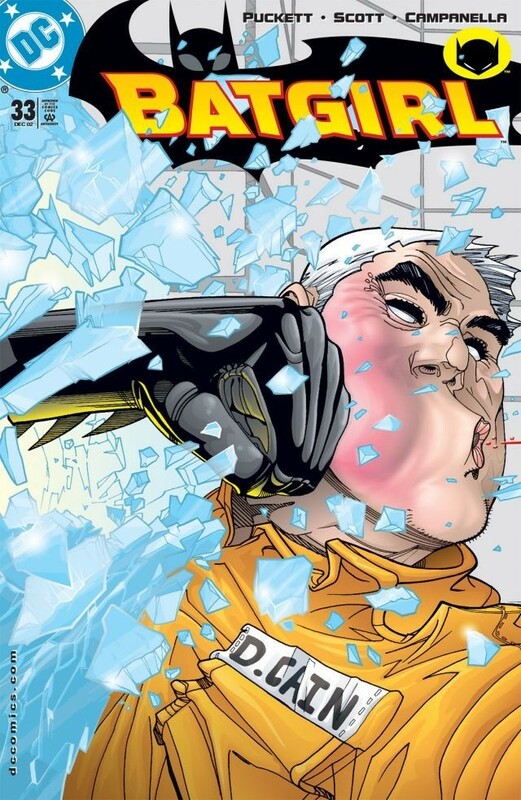 On a slightly related note, has the "Batman: Gotham Knights" series ever been collected in TPB form? I really loved those stories, but I don't want to have to buy all of them in single issue form. Two-Face Tuesday! NML, Part 3: ... look, things just get complicated. Best idea I've heard all week: someone should write a novelization of LOST. Just do the entire series in a single book. Perhaps like THE STAND, but even better edited to incorporate all the good stuff, cut out the dead weight, and revise things so that it all works better as a whole. Because that's the inherent difficulty of writing for long-form serialized format, be it in TV or comics: no matter how well you plan it out, so many things can go wrong that can create plot holes, dropped threads, inconsistent characterization, etc. Maybe it can be avoided if it's all done by a single (extremely talented) writer, but it's damn well impossible with multiple writers. That's why Greg Rucka's novelization of NO MAN'S LAND is largely superior to the original comics, both of which I've been rereading for the first time in years for these posts. He's able to iron out the kinks from the comics, even the ones he himself had originally written, while cutting out pointless subplots and letting other story elements breathe. By and large, the actual stories of both are the same, with one major exception: the shared arcs of Jim Gordon, Renee Montoya, and Harvey Dent. Last post, it was the same, but with some added scenes of Harvey and Renee's interaction. But starting here, the actual chain of events alters and their motivations deepen, turning what originally was a better-than-average crime/adventure story into something rather more complex and soul-searching. Next week, the grand finale: Jim Gordon('s soul) on trial, with Two-Face as the prosecutor, Harvey Dent as the defense, and Renee Montoya stuck in the middle.